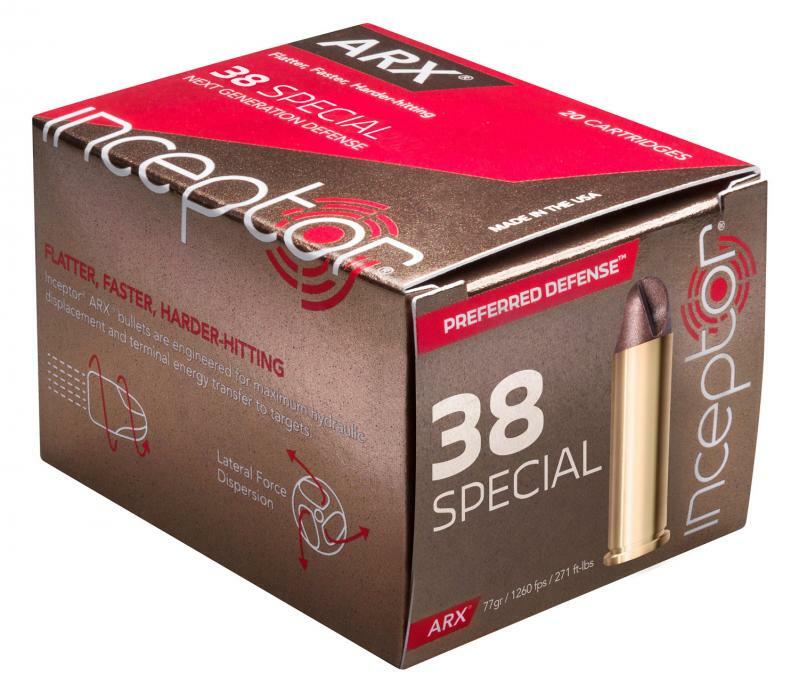 Inceptor's Preferred Defense ARX ammo transfers energy to the target. The non-expanding ARX is injection molded from a specially blended polymer-metal matrix. It is designed to penetrate most intermediate barriers without deformation and consistently achieves its terminal effect in soft targets and tissue. As the bullet penetrates it tumbles in a controlled, predictable fashion that delivers consistent terminal performance that rivals conventional hollow point designs. It is light weight; thereby producing reduced recoil and allowing for faster on-target follow up shots. This 38 Special model has a 77 grain weight and comes packaged 20 rounds per box, 10 boxes per case.